In June of 2018 the California Assembly voted to approve the bill AB 1824. Among other things in this bill, it changed the way that police officers are to handle pulling over someone with a modified exhaust system. 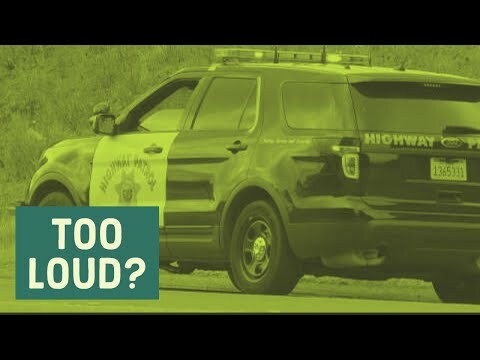 Before January 1st, 2019 (when the bill went into affect), if you were pulled over with an aftermarket muffler that was thought to be over 95 decibels the officer could give you a fixit ticket. This allowed you to take care of the excessive noise and get it signed off or to talk to another officer if you thought the first was unfair. Now if you get a ticket it is an automatic $1,000 fine. You also need to take the car to a state referee to prove that it has been put back to stock before you can register the vehicle with the DMV. You can take it to court, but that is a lot of extra hassle to try to fight something that had been seen as a minor violation. Sebastian Vettel and Kimi Raikkonen know a thing or two about driving a Ferrari F1 car around a circuit. What they aren’t known for is their musical talent. Today Chevrolet has teased the all-new 2016 Chevy Camaro. They have released a few teaser images and a video with the exhaust sound of the new car. We’ve recently spent some time in the 2015 fifth generation Camaro and the sound of the SS 1LE that we drove certainly turned heads. The 2016 car is all new taking parts from the Cadillac CTS-V as well as having 70% of parts that are unique to the Camaro. Hit the jump to hear the V8 roar of the sixth generation Camaro. Before the Porsche Cayman GTS and future GT4, the Cayman R was the ultimate version of the mid-engined sports car. The concept was simple, add a little bit of horsepower over the S model and put it on a diet. What you get is a more focused machine that is ready for the race track. To reduce weight unnecessary items such as the air conditioning and radio were removed. While these could be added back, it is amazing how much these small changes affect the character of the performance machine. 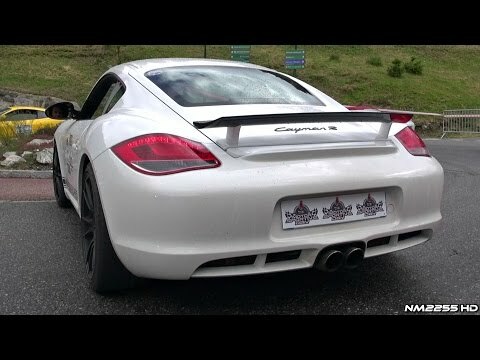 This video features a Porsche Cayman R as it revs its engine and drives on the road. This R features a sports exhaust system and racing headers, so the sound is insane. The Porsche Carrera GT is one of the greatest supercars of all times. The V10 mid-engined car is unmistakably a Porsche and yet it has a more aggressive look than many other cars from the German performance car maker. Just how good was the Carrera GT in its day? Top Gear’s Jeremy Clarkson, who is not a fan of the brand, called it a perfect car. This video shows the German supercar that the 918 Spyder is the successor to being revved and driven. The footage features both a yellow and a black car. It shows the details of the automobile both inside and out and features the exhaust noise of that V10 monster engine. Check out the video and then let us know what you think of the Porsche Carrera GT in the comments.